Fraser Valley – Do We Really Care About Our Heritage? Sounds like a baiting question but seriously, the apathy can be concerning. Recently in Abbotsford, Turner House was moved from his previous address to a holding pattern before it is eventually relocated to Clayburn Park in Clayburn Village for restoration as a heritage landmark. It remains a long process before the building settles on a new foundation. 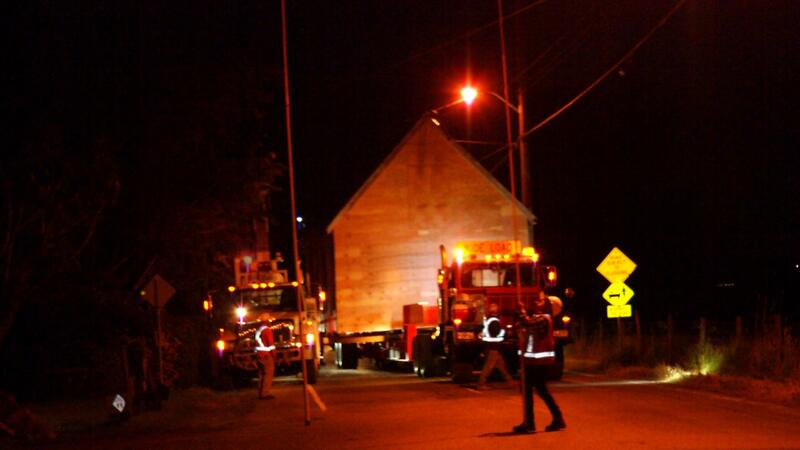 Turner House was moved on June 27th in a delicate process that included transporting the house on special risers and a wide truck. The City of Abbotsford is now working to secure the foundation of this building through 2018. Once the foundation has been fully set and the safety and protection of the building has been confirmed, the City of Abbotsford will undertake a series of public engagement sessions in 2019 to connect with the community on the future use of the 104 year old building. Funny thing, the City has yet to deem it with “heritage status”. That according to Christina Reid, Executive Director with the Heritage Abbotsford Society. This is not the only building in heritage limbo. There are a few others, not only in old Downtown, but Matsqui as well. In fact FVN has learned that there are a few ideas in the works, to demolish the old Fraser Valley Inn, which is now the New Passage To India Restaurant. It could be replaced with a six story condo/business building. Chilliwack was able to get heritage status for Skelton House, across the street from the new Curling Rink. Again, that is merely one building out of many that need some TLC and protection, otherwise the wrecking ball is coming. Just ask anyone connected with Heritage Chilliwack. And it’s not just buildings and barns that face extinction. The Central Fraser Valley Chapter of the Vintage Car Club Of Canada is worried about their aging and dwindling numbers. Some car collectors can’t find buyers for the vehicles built in the 20’s, 30’s,40’s and 50’s. Many of these collectors are between 70 and 90…or dead. Instead of the trouble of selling, those classics head for the scrapyard and years of restoration work are simply turned to the recycle heap. We seem to be so engrossed in getting the latest iphone, the latest app, the latest on line information yet there are times, we forget our heritage. Be the first to comment on "Do We Really Care About Our Heritage? (VIDEO)"